Rome, being a historic city constantly built and rebuilt, exhibited no regular patterns. 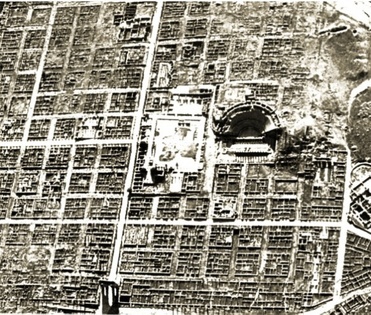 However, new Roman cities usually followed a regular plan based on the Greco-Anatolian model, with grid-like streets, complete with forum and amphitheater. 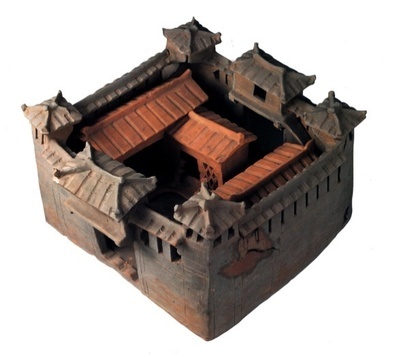 Chinese buildings, made of timber and other perishable materials, were especially susceptible to the fire of war. Thus even the capital was often built from scratch. Textual sources suggest that Luoyang, capital of the Latter Han, followed a grid pattern. Many other cities may have similar layout. Arial view of Timgad in Algeria, north Africa, founded in 100 CE. The forum and an amphitheater sit at town center. At the left bottom is the Arch of Trajan, a gateway to the city. 2. An ancient Chinese city. 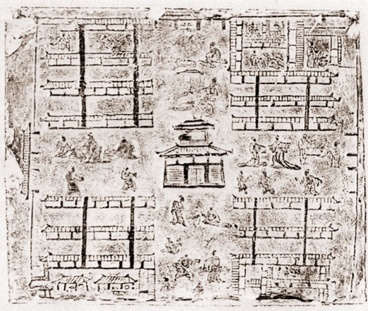 Tile relief showing grid-like layout of streets and shops, with an official building in the center. The north and west city gates at the ends of the main streets are also visible. (Chengdu Museum). 3. The Arch of Constantine. 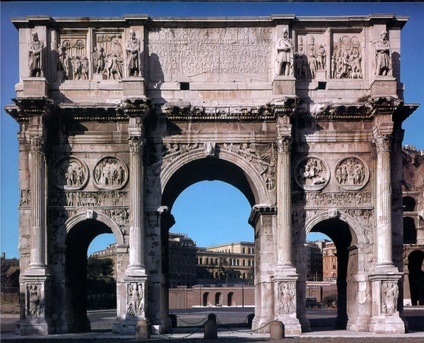 Triumphal gates guarded the roads leading to many Roman cities. They expressed the supreme value of military glory in the Roman world. 4. A Chinese city gate. 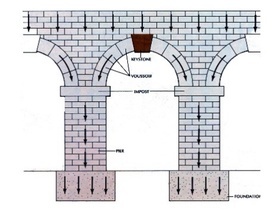 The Romans used arches extensively in all constructions. 6. A roof with raised corners. The Chinese used a system of braces for the raised corners characteristic of their roofs. 7. Qin's main palace in Xiangyang. 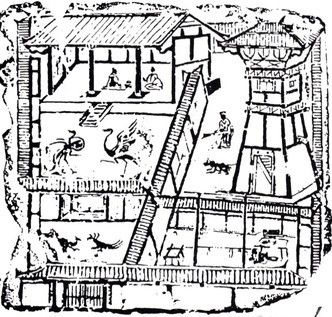 Drawing of Qin’s main palace in the capital Xianyang. After unifying China, Qin also built many side palaces. The new Ebang palace was never completed. Its extravagance, often blamed for Qin’s demise, incited numerous fanciful tales. Rome had no formal palace. Emperors built their own houses. The above is a model of Hadrian’s villa in Tivoli, 20 miles from Rome. Its buildings covered around 300 acres. The heart of the complex appears at the upper center. The Maritime Theatre, the round structure with a moat surrounding an island, had been Hadrian’s favorite. 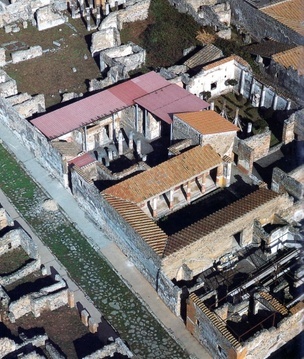 The square structure above it is the Piazza d’Oro, a large peristyle courtyard surrounded by a large house with an octangular vestibule on the western side. Accommodations for most common peoples were humble in both empires. Poor Romans in towns crowded tenement flats. A Chinese household, with five persons on the average, occupied one living room and two bedrooms. Only the affluent could afford the housing described below. 9. A Roman townhouse with atrium. A stretch of Via degli Augustali in Pompeii. It shows the basic design of a Roman townhouse with itsatrium, a partially covered central hall with a rectangular trough in the middle for collecting rain water. The atrium opens to bedrooms on the sides. 10. A Chinese courtyard house. The basic design could be indefinitely extended to include more halls, rooms, gardens, and other structures. 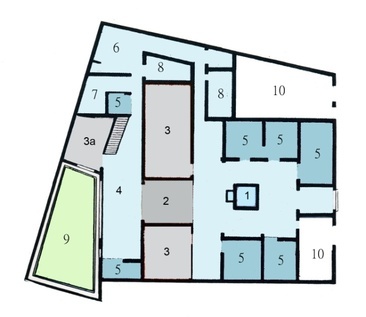 Plan of the Surgeon’s House in Pompeii (named after the surgical instruments found in it): 1. Atrium, with the water basin at the center; 2. Tablinum, where ancestral images and other valuables were kept; 3. Triclinium, dining room, perhaps with built-in reclining platforms; 3a. summer Triclinium; 4. 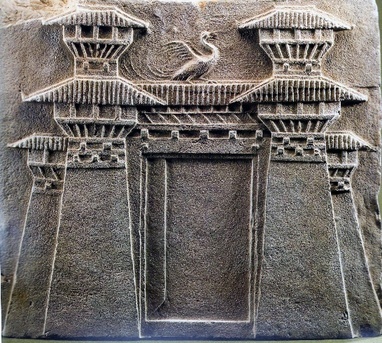 Portico; 5. Bedroom; 6. Kitchen; 7. Toilet; 8. Store room; 9. Garden; 10. Shop with separate access to the street. The lower one may have served as the surgeon’s office.